If you’re feeling reactive about something in a relationship, you might ask yourself how articulate you’ve been about your emotional needs. If you’ve been holding back for fear of rocking the boat or things ‘changing’, guess what? That creates tension, and tends not to be a recipe for making smooth adjustments. Today’s Birthdays: Marie Tussaud (1761-1850), Minoru Yamasaki (1912-1986), Mary Martin (1913-1990), Lou Rawls (1933-2006), Richard Pryor (1940-2005), Eric Bloom (1944), Bette Midler (1945), Jonathan Katz (1946), Jaco Pastorius (1951-1987), Deep Roy (1957), Vesta Williams (1957-2011), Lisa Fischer (1958), Jeremy Northam (1961), Sarah Silverman (1970), Riz Ahmed (1982), Janelle Monae (1985). 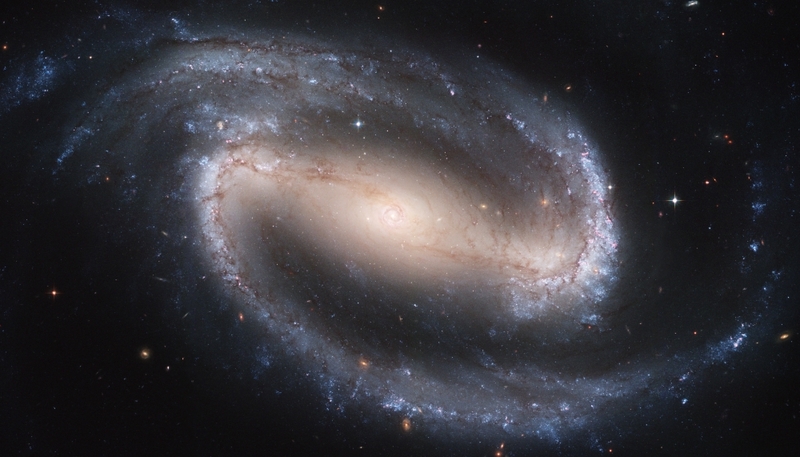 NGC100, a barred spiral galaxy with some similar properties to the Milky Way, our home galaxy. The Milky Way has many more spirals, however, and probably looks something like this. If you’ve been following the news, you’ve probably noticed things getting exponentially more insane by the day. Everything seems to be out of control. And if you follow astrology, you may be wondering what the holy heck is going on. I’m here with some information for you. We’re about to experience what may be the most interesting Mercury retrograde I’ve ever seen. I’ve seen a few, and studied them all. There’s always some interesting twist, though the one that spans from Sunday, Dec. 3 through Friday, Dec. 22 has many unusual properties. This retrograde process has the distinction of being the fanfare connected to Saturn’s ingress into Capricorn, a sign that it rules. Mercury has a huge core of iron, which makes it a magnet. Photo by NASA. More interesting info here. For starters, Mercury retrograde happens three times a year. Astronomically, it’s when Mercury passes between the Earth and the Sun. So during a retrograde, Mercury is nearby; it’s a planet-sized hunk of iron. Based on one theory of astrology, it’s also getting its particular properties picked up by the solar wind, which are cascaded all over the Earth and our bodies. Not all astrology is based in astronomy, though a giant magnet blowing by is a good candidate. I maintain, however, that most of the effect of retrograde Mercury is on our minds, which are electrical and magnetic devices. This explains how one’s disk drive might fail, and one might lose a check between the pages of a magazine that arrived in the same day’s mail. Hence, one might deduce a mental effect, which would be right in line with Mercury (which represents the mind before anything else). 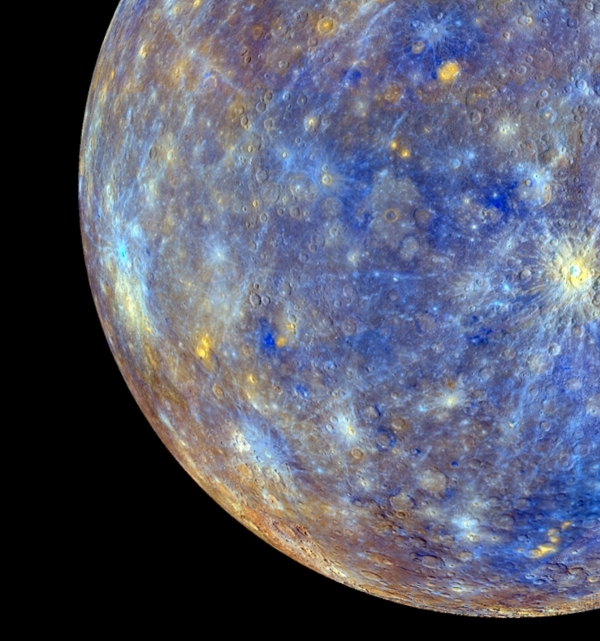 Here’s a Planet Waves classic on Mercury retrograde, for all the generalities, some details and some recommendations. Share away! Moon Sign: Moon is in Taurus and enters Gemini on Dec. 2 at 1:21 pm PST / 4:21 pm EST (21:20:46 UTC). Venus enters Sagittarius at 1:14 am PST / 4:14 pm EST (09:13:58 UTC). — Mars opposite Uranus at 2:05 am PST / 5:05 am EST (10:05:21 UTC). — Sun square Rhiphonos at 4:30 am PST / 7:30 am EST (12:30:04 UTC). — Mars conjunct Haumea at 10:50 am PST / 1:50 pm EST (18:50:35 UTC). — Juno sextile Chiron at 4:05 pm PST / 7:05 pm EST (00:04:40 Dec. 2 UTC). — Sun square Orcus at 7:59 pm PST / 10:59 pm EST (03:58:44 Dec. 2 UTC). You could hardly want a better gift than Venus entering your sign on your birthday. This is an invitation to let your beauty, charm and the friendly side of your personality lead the way. Make the choice to feel safe enough to let the love shine from your heart. You’re a bold and confident person. You will feel even better living this way. If you’re feeling reactive about something in a relationship, you might ask yourself how articulate you’ve been about your emotional needs. If you’ve been holding back for fear of rocking the boat or things ‘changing’, guess what? That creates tension, and tends not to be a recipe for making smooth adjustments with a clear sense of authority over your life. Juno in Capricorn in a sextile to Chiron in Pisces should help raise your awareness of the dynamic in a way that let’s you heal some facet of it — though you’ll have to engage the process actively. Luckily, Venus entering Sagittarius today should help everyone to take a philosophical or easygoing approach and move gracefully on from any flare-ups. Feel free to give Venus a hand.